Eulogy has hired Phil Borge and Mark Doonan from Threepipe to lead a new b2b technology division. Borge previously worked at Eulogy for ten years before joining Threepipe, where he headed up the agency’s b2b operation working with technology clients such as Sitecore and Adstream. 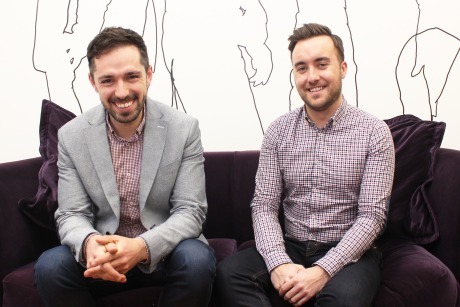 Borge will lead the new division at Eulogy while Doonan will join as senior account director. Borge said: "Eulogy’s reputation and experience means it is excellently placed to expand its b2b technology offering. This is an exciting opportunity for me to bring my expertise and knowledge of b2b technology to provide strategic counsel to existing clients, while also working to boost the agency’s new business pipeline." At Threepipe, Doonan worked with technology clients including Truphone, Satmetrix and Adestra. He previously worked at the specialist b2b agency Man Bites Dog. The pair will work closely with Eulogy’s chief executive Adrian Brady and newly appointed managing director Elisabeth Field, who joined the agency last month from MHP. Brady said: "The b2b technology space is growing exponentially, so it’s the perfect time to expand our credentials in this area. Phil’s vast experience of working with some of the key players in technology makes him the ideal candidate to grow our technology portfolio in the year ahead, and beyond that we’re delighted to welcome back a valued member of the team."